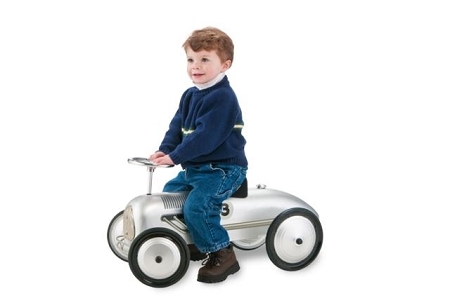 Sleek silver ride-on scoot-ster will go, go go! 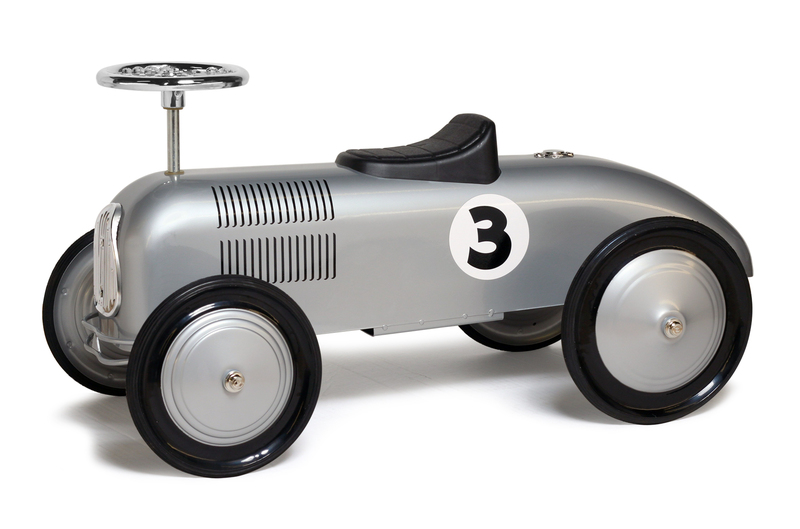 Features authentic 1930 racer detailing, working steering wheel and rubber wheels, and its heavy gauge steel construction is built to last. 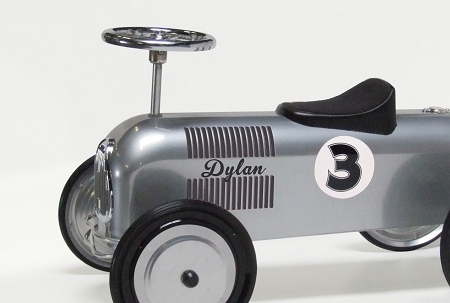 Finished in a chip and rust resistant, child safe, non-toxic, lead-free powder coating paint. Steel 9" wheels and rubber tires provide smooth rolling on sidewalks, driveways, and patios, requiring only the push of the foot from a rider aged 18-36 months old. Braking is provided by foot power. The seat adjusts fore/aft, and the steering wheel provides easy, confident turns. Don't forget Personalization is the perfect gift!